The medieval castle was built in the 12th century by the Talbot family and it was the family’s home for over 800 years. Exhibitions within tell visitors about the Talbot family and the Battle of the Boyne, as well as the ghosts that supposedly haunt the castle. There is fairy trail for children to explore and a private walled garden. Amenities: The visitor centre is fully accessible, with a lift to the first floor of the castle. There is a café, free parking and toilet facilities. Opening hours and costs: Tours are priced at €12.50 for adults, €6.50 per child, student €9 and senior €8. The castle is open from 9:30am-5.30pm daily. This Georgian villa was built for the archbishop of Dublin in 1747. With more than 300 years of history, tours of the house offer stories of the family as well as the rural farming life of the 20th-century country house. The house holds authentic art and furniture and the animals in the farm include Shetland and Connemara ponies, pigs, goats and chicks. Amenities: There is a café on site and toilet facilities but there is wheelchair access to the farm only. Opening hours and costs: The site is open daily from 10am-5pm. To visit the house and farm prices are €10 for adults, €8 for senior/student, €6 for children under 12 and €30 for a family ticket. The castle was built for the archbishop of Dublin around 1200 and so reveals details about 800 years of our past. A recent excavation revealed burial grounds beneath the gatehouse. The monument overlooks the Ward river and tours can be arranged in advance. Amenities: The site is accessible except for the Constable’s Tower. Opening hours and costs: The site is FREE to visit and is open daily from 10am-6pm. Overlooking the sea and the Mourne mountains, the castle was built in the 1730s by Robert Taylor, the then dean of Clonfert. It has been refurbished in a Victorian style and there are gardens and woodlands to explore on site. During excavation an ice-house was found, which was an underground system for keeping food preserved before refrigeration was invented. Amenities: There is a café, toilet facilities and full wheelchair access. Opening hours and costs: Entrance to the castle and park is FREE but guided tours cost €6.50 per person or €5 for groups over eight people. Since the 12th century, flour has been milled here and the oldest mill on site dates back to the year 1460. Visitors can learn how the mills were used by people incorporating wind and water energy. 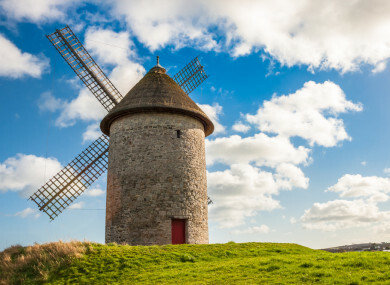 At the monument, visitors can also walk through the wheat crop field, try their hand at stone grinding and climb through the three levels of the windmill. Amenities: There is a bakery, café and gift shop on site. Wheelchair users can access the café and avail of a virtual tour as the mills are inaccessible to wheelchair users. Opening hours and costs: Entry to the site is FREE but there the guided tour is €8 for an adult, €4 for child, family €20, €7 seniors/students as well as group rates. Thanks to Fingal County Council heritage office for recommendations. LATER: We’ll bring you the top sites in Galway, while tomorrow it’ll be the turn of Kerry and Kildare. Email “Your summer in Ireland: 5 must-see sites in Fingal”. Feedback on “Your summer in Ireland: 5 must-see sites in Fingal”.